If you’re interested in a minimally invasive anti-aging treatment to reduce scars and stretch marks, consider rejuvenating your skin with microneedling. 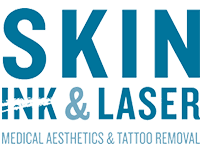 The skilled nurses and expert estheticians at Skin Ink & Laser offer comprehensive aesthetic services to men and women in Fayetteville, Arkansas. To boost collagen production and turn back the hands of time, schedule a microneedling consultation or book your appointment with the easy online scheduling tool. To rejuvenate skin, your nurse or esthetician inserts ultra-thin needles into the skin to create a supervised injury. Also called Collagen Induction Therapy, microneedling uses a pen-like tool to make tiny pricks in the top layer of your skin, or a dermaroller outfitted with dozens of minuscule needles that roll back and forth over your skin. The puncture provokes your body to repair the injured area with collagen and elastin, which plump up your skin and restore youthful vibrancy. Microneedling works well for all ages and every skin type. As long as you don’t have any open sores or infected wounds, you are eligible for microneedling. The team at Skin Ink & Laser doesn't recommend microneedling during a severe acne outbreak. It’s best to wait until the acne subsides, so the tender areas aren’t aggravated or infected by the procedure. What can I expect during my microneedling appointment? The nurse or skin technician analyzes your skin to customize treatment to address your unique needs. You’ll recline and get comfortable in the private room while the nurse cleans your skin and applies an anesthetic cream to numb the area. A handheld pen or dermaroller gently moves across the treatment area making microscopic puncture wounds. Your skin may look sunburned or red for a day or two. Some people experience light bleeding, but it’s not much and stops quickly. You’ll be glad to know that downtime is negligible and you can return to your normal activities in about one to three days. How many microneedling appointments do I need? For optimal results, at least three appointments are necessary to maximize collagen stimulation. The team at Skin Ink & Laser will schedule your appointments about four to six weeks apart. For a complimentary consultation and to learn more about how your skin can benefit from microneedling, call the office now or use the easy online scheduling tool to reserve your appointment time.